The already faltering Los Angeles Clippers got some unfortunate news Monday morning as their star forward Blake Griffin will undergo a minor knee procedure and miss several weeks. 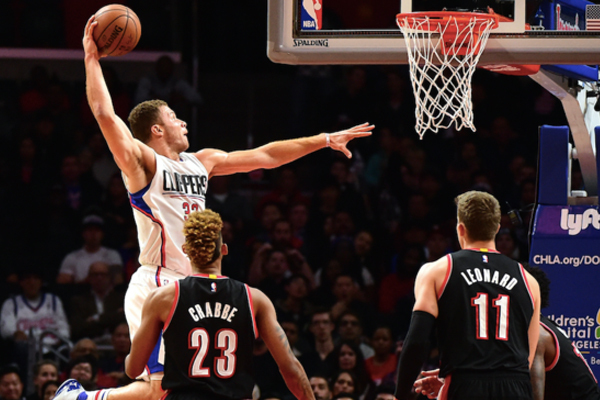 According to The Vertical, the Clippers expect Griffin to return at some point in January. This is a huge blow to a 20-8 Clippers team. The Clippers outscore opposing teams by 18.4 points per 100 possessions with Griffin on the floor and he is having his best defensive season of his career with a +2.2 defensive plus/minus rating to go along with his 21 points, nine rebounds and just under five assists a game. The Clippers will have to rely more heavily on their bench, which has struggled mightily, over the next few weeks and even more responsibility will be put on Chris Paul’s shoulders. Griffin has had a tough go of it the past few seasons. He only played 35 games last season due to a foot injury and a hand injury for the infamous equipment guy incident. He then got hurt in Game 4 of the first round of the western conference. This injury will have a very negative effect on the amount of money Griffin will make in free agency this year as well. Here’s to hoping Griffin can return to the court sooner rather than later.